(Bloomberg) -- Austria vowed to clamp down on the Identitarian Movement after it came to light that the gunman who carried out the deadliest mass shooting in modern New Zealand history had donated money to the fringe group that promotes white nationalism. 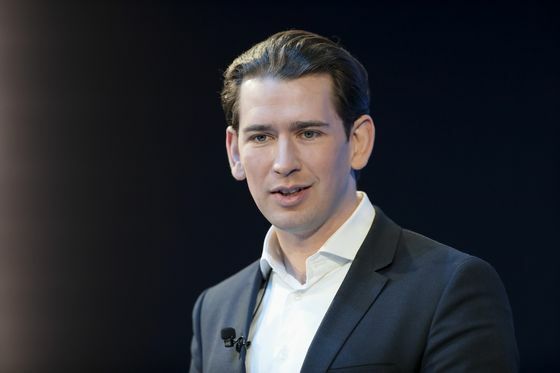 Chancellor Sebastian Kurz, standing alongside his nationalist coalition partner Heinz-Christian Strache, said the extent of the ties between the Identitarians and the shooter would be investigated and that his government would review if it was possible to dissolve the group. Brenton Tarrant, a 28-year-old Australian, is charged with killing 50 people at two mosques in Christchurch on March 15. Ten days later, Austrian police raided the home of Martin Sellner, the Identitarian leader in Austria, after a tax probe showed that his group had received 1,500 euros ($1,700) from Tarrant in 2018. The money trail connecting a white supremacist to a radical far-right group is an unwelcome political development for Europe’s youngest leader, who is seeking to rewrite the conservative playbook and quash any suspicion that he is flirting with far-right extremism. Kurz’s junior coalition partner, the far-right Freedom Party, isn’t formally linked to the Identitarians and Strache said today he had “nothing to do” with them. Strache however has in the past occasionally supported the group’s “peaceful actions” on his Facebook page. He defended himself by saying his praise had been based on what was known back then, not now. Sellner was the first to report about the raid on his Youtube channel, in a statement in which he also confirmed the donation. The Identitarians said in a statement that they are “not afraid” of the review and that their actions are legal and covered by freedom of speech. The Identitarians originated in France and exist in several European countries including Italy and Germany. But they are particularly active in Austria. One of their main causes is the fight against migration, which they denounce as the “Great Replacement.” Sellner has a fervent following on social media and has denounced the Christchurch massacre.